We have Sunday School classes for every member of the family. We have a class for Crib Babies, Toddlers, Primaries, Juniors, Teens, College and Career, Young Married and Senior Saints. Our classes are taught by qualified teachers who have a love for their students and a burning desire to disciple them for Christ. One of the exciting events of our Sunday School is our annual picnic. A shelter is rented at Hagan Stone Park for the day where we play games together, pitch horse shoes, fish and end up the day with an exciting softball game. Plenty of grilled hot dogs and hamburgers along with all the fix’ens are served at our picnic. Quarterly, the men of our Church as well as visitors meet for a time of fellowship and a well rounded breakfast prepared by the men of our Church. The men also have a time of devotion and prayer during this time. Monthly the ladies of our Church as well as visitors meet for a time of inspiration, fellowship and refreshment. 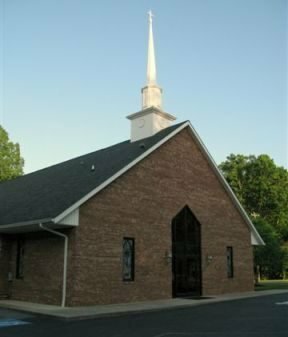 They draw names for “Secret Pals”, have a “Mother Daughter Banquet” around Mother’s Day, and this year shared family recipes which were made into a Church Cookbook. On Wednesday evenings the Teens meet for a time of fun and games, and refreshment followed by Bible Study. Many activities are planned for our Teens such as Church Camp, Lock-Ins, trips to Carowinds, Youth Rallies along with plenty of food, fun and fellowship. Vacation Bible School is a particular exciting time for our Church. Last year our theme was “The Boomerang Express.” It consisted of an imaginary trip to the land down under, the land of Australia. We had plenty of spirit filled music, special Bible lessons each night, crafts for all ages followed by the grand family on Friday night. Many of our young people make lasting decisions to follow Christ during this special time.